Achieving even bow pressure from frog to tip involves using proper grip, finger pressure, and arm rotation. David Finckel performed four concert with the Emerson Quartet for the Chicago Symphony’s Dvorak Festival, sharing concerts with the orchestra. 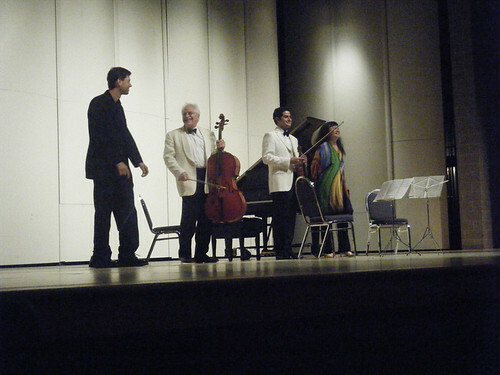 During the residency, the quartet performed Dvorak’s quartets Opp. 51, 96 and 106, as well as the Piano Quintet with Jeffrey Kahane, and the viola Quintet with Paul Neubauer. I’ve spent the last four days in Chicago with the Emerson Quartet, participating in the Chicago Symphony’s Dvorak Festival. The orchestra has annual composer festivals and invited us to play string quartets – Op. 51, 106, 96 and the Cypresses – and quintets, the ones for viola and the famous piano quintet. 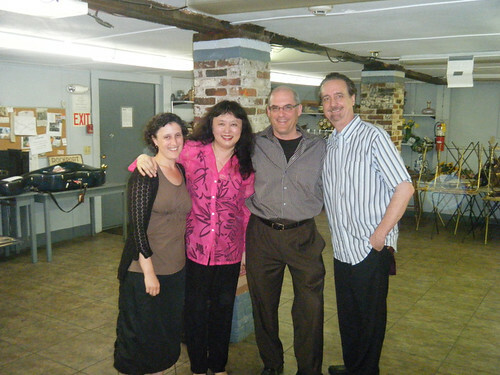 We were joined by violist Paul Neubauer and pianist Jeffrey Kahane. The concerts were held in the Symphony Center’s Orchestra Hall, a really magnificent venue that feels more intimate than Carnegie but apparently has as many seats. In two of our concerts, we played the first halves of the concerts and the orchestra played the second halves. 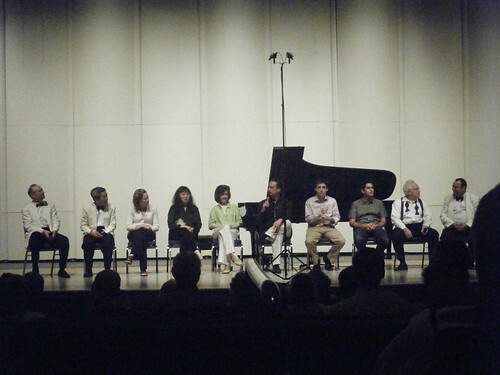 On Tuesday we got to play a free noon-time concert across the street in the auditorium of the Art Institute. Simon McBurney, the actor and director of the theater company Complicite (Noise of Time/Shostakovich piece with the ESQ) showed up to visit his brother Gerard who is lecturer-in-residence, with the Chicago Symphony where he created the now-famous Beyond the Score series. 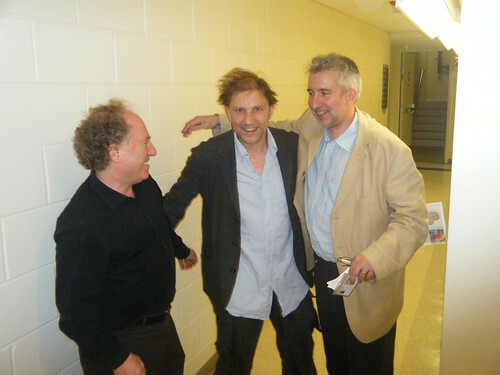 Backstage, Simon met Jeffrey Kahane for the first time, together with Gerard (right). On my free day in Chicago, where I am for the Chicago Symphony’s Dvorak Festival, I visited the beautiful new headquarters of William Harris Lee & Co., a phenomenal source for wonderful new instruments. Bill Lee has been a good friend since we met at my quartet’s very first appearance in Chicago, a good quarter-century ago. 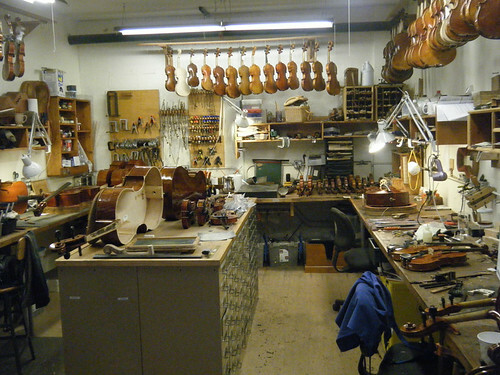 Bill Lee’s collection of phenomenal makers work on the premises, creating instruments of enormous quality that I have always recommended for young professionals and serious students. 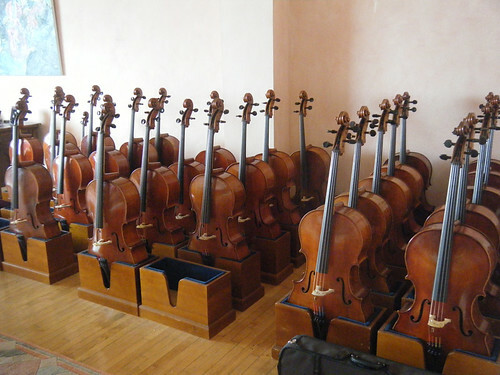 Waiting for me to try was the expected army of cellos, all of them beautifully set up and actually in tune! Bill showed me the workbenches in the back where the instruments are created. Each maker has his dedicated space. 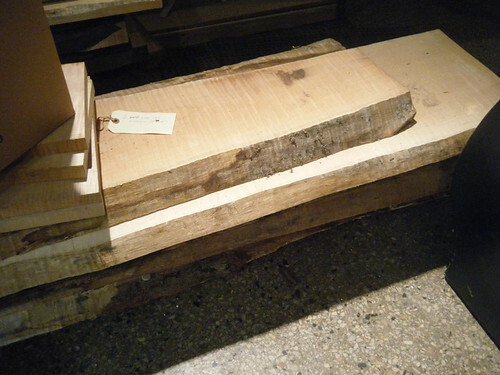 Everything needed to make an instrument is on site, including the aged wood planks from which the backs and tops are cut. How much weight does your arm put on the bow at the frog? At the tip? What’s the difference? 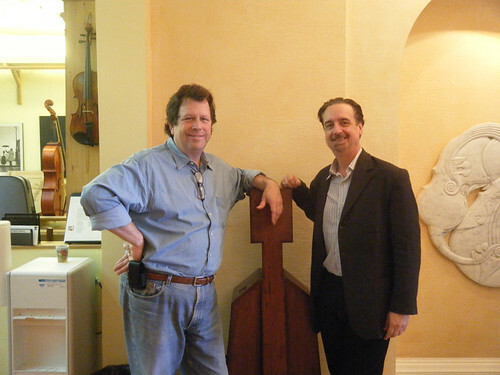 On June 12, David Finckel and Wu Han made a consecutive-season return to the thriving Rockport Chamber Music Festival, in Rockport, Massachusetts, performing Geroge Tsontakis’ Mirror Image, Mendelssohn’s D Major Sonata, and Rachmaninov’s Sonata in g minor. The performance was for an enthusiastic over-sold house. 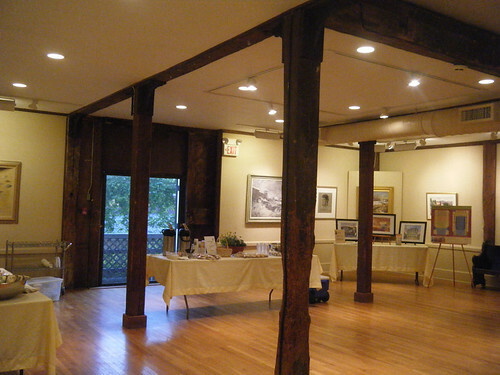 Last night we performed for the second consecutive year in Rockport, on the coast about an hour north of Boston. We always considerate it a treat when our incomparable manager David Rowe attends, and we had the added pleasure of meeting Arielle for the first time as well. 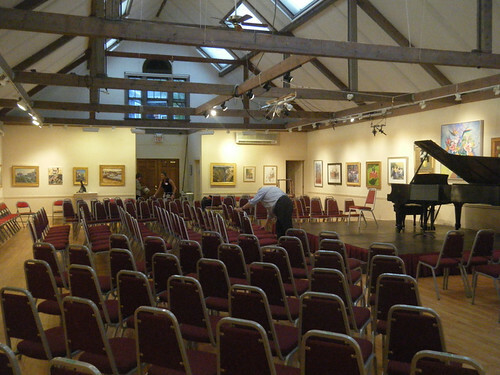 The Association’s gallery space is an ideal venue for chamber music, which was filled beyond capacity for our concert. The festival audience in Rockport is both extremely attentive and wildly enthusiastic. Volunteers for the Rockport Chamber Music Festival lay out elegant snacks for purchase during the concert in an adjacent gallery. 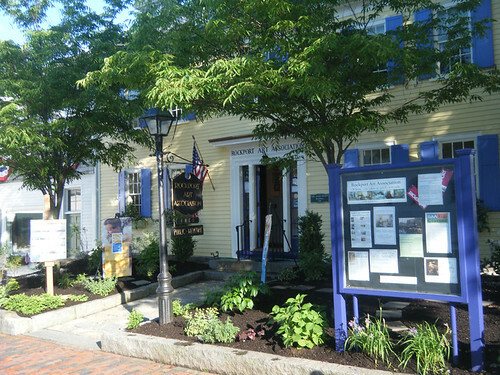 The concerts are held in the Rockport Art Association right on the main street. 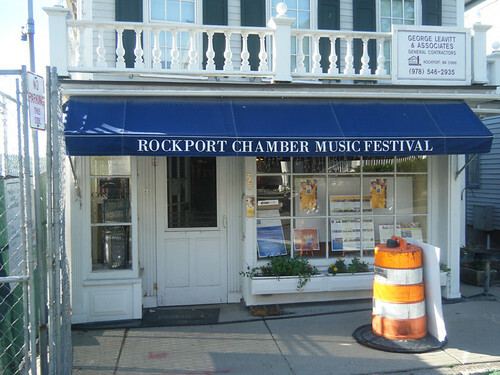 The new concert hall will sit directly next to the quaint, Main Street location of the Rockport Music office. Rockport Music is directed with insight and expertise by pianist David Deveau, whose hospitality, adventurous programming, and deep knowledge of music have cemented his public to the festival and committed the community to the construction of the new hall. He and his colleagues and volunteers who make Rockport Music happen have our deepest admiration. 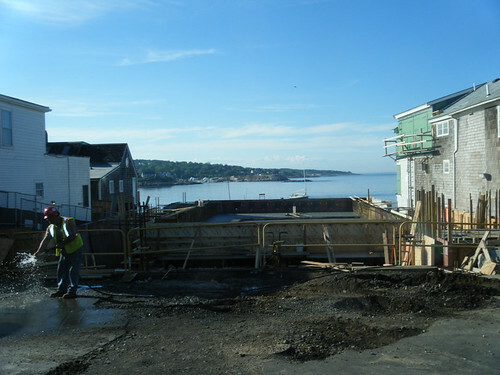 By next season, Rockport Music – the organization’s new name – will have a stunning new concert hall right on the harbor, with windows behind the stage looking out onto the water. 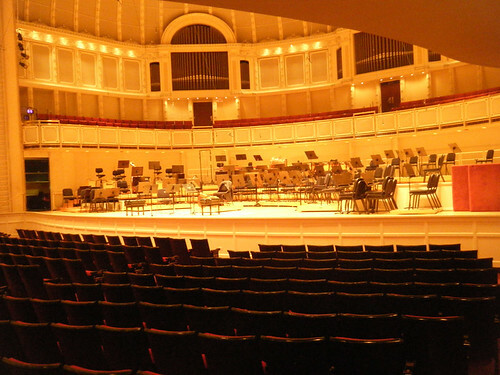 The acoustics are being designed by famed acoustician Larry Kirkegaard, who is responsible for Chicago’s Orchestra Hall, where I am headed, coincidentally, for a concert with the Emerson tonight. Rockport is stunningly beautiful, abounding with sights like the church above, and great seafood. You should visit someday, take in a concert and have a lobster roll!